If you’re arriving by motorcycle for the NMM’s open day, parking is free – it’s a fiver for a car. 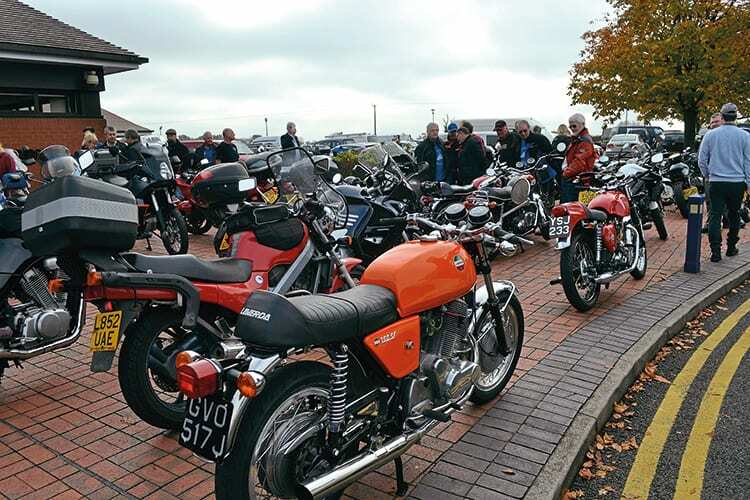 Visitors to The National Motorcycle Museum’s fifth annual free open day will be welcome to view the museum collection free of charge on Saturday, October 27. There will also be a host of other free attractions including the ‘stars on stage’ feature and a large, indoor autojumble and trade area. The museum’s 2018 raffle to win a 1969 Royal Enfield Interceptor 750cc Series II will be drawn live on stage by John McGuinness during the afternoon of the event. There’s still time to enter with raffle tickets being available from www.thenmm.co.uk or 01675 444123.